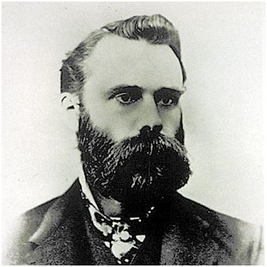 DJ Transports / SP500 Index Technicals: A Tale of Two Worlds ? the last time we reached that level was back on April​ 15 2014. 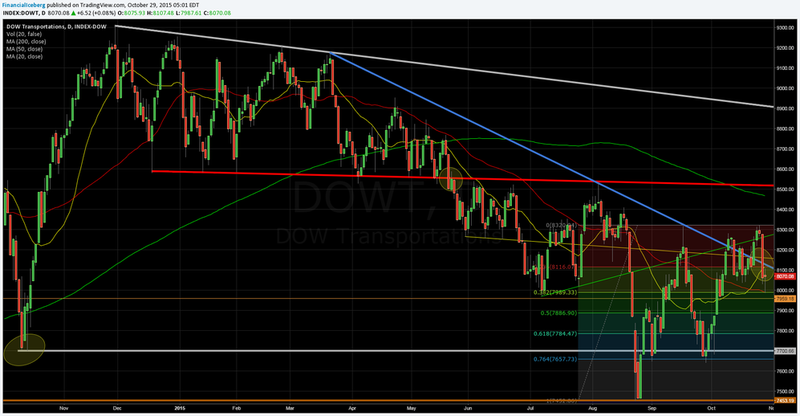 Mighty Dow Jones Transportation Average Index (DJT) and the SP500 Index. 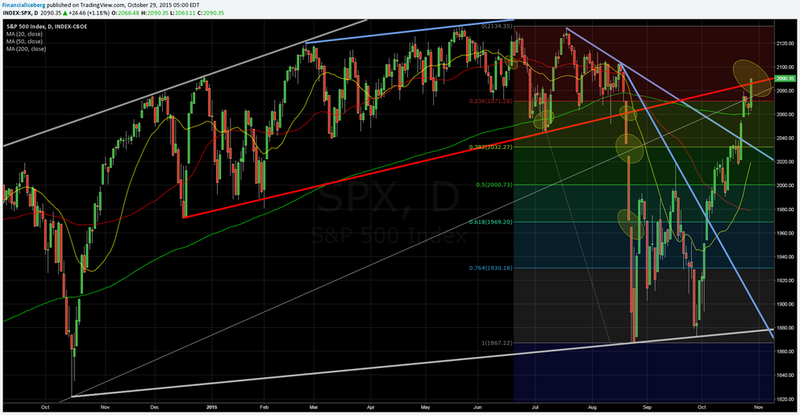 ​​4) DJT is quite far of the Major Resistance Trendline that started back on December 17 2014.